The Gotcha fly is arguably the best Bonefish saltwater fly on the Planet. This small deadly pattern imitates a variety of crustaceans and is truly revolutionary. The Gotcha also comes in a “crazy leg” version, which is basically the normally fly, with legs or whiskers toed to the body. The weight of this fly comes from the dung-bell eyes, and one can also tie this crustacean imitation with copper wire or lead to make it heavier. It is great for other fish species too. 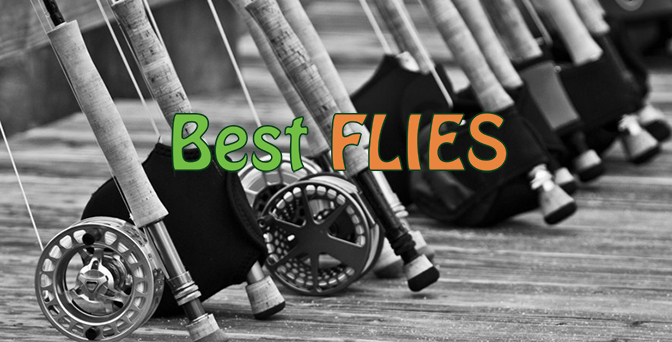 The Gotcha pattern does not only catch the saltwater fish species of the flats, like Pompano, Wave Garrick, Triggerfish and Bonefish; but it is also an excellent gully fly and estuary fly. The Gotcha also comes in the following versions: Bunny Gotcha, Rubber Leg Gotcha, Tan Gotcha, Blind Gotcha and Lead Eye Gotcha. This superb Bonefish fly is a variation on the world-renowned Crazy Charlie pattern. 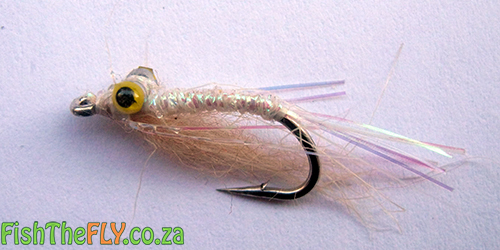 Both flies are good for species like Steenbras, Grunter, Kob and the likes, and they will both produce good results around South Africa. If you are a keen saltwater fly fisherman, or you are starting saltwater fly fishing, you need to have a few Gotcha patterns in your box. It is a must!